Sun, beach and Zell am See. In the Salzburg province of Austria, there are many opportunities available for sports and recreation. Whether hiking, mountain biking, golfing, Nordic Walking or diving, you can organize your stay in Salzburg freely according to your wishes and ideas. 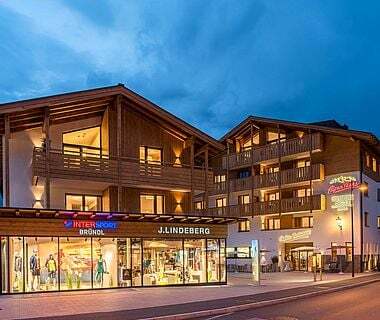 40 different leisure and sports facilities and varied calendar of events of the holiday region of Zell am See-Kaprun make your holiday cell into an unforgettable experience. The remarkable town of Zell am See, with its medieval town lies at the central Pinzgau Valley, 758 meters above sea level. The southern part of this valley is the Zell Furche - the only trough valley of the Pinzgau grass mountains, where the four kilometres long and 1.3 km wide lake is located. Since the year 1966, Kaprun forms together with Zell am See the famous sports region. In summer, the mountains around Zell am See in Austria attract the hikers with numerous hiking trails up in the airy heights. Cable cars and gondolas carry you up quickly to enjoy the Pinzgau delicacies on the managed pastures. The European sport region of Zell am See - Kaprun offers numerous cable cars and lifts, breathtaking mountain ranges, fresh alpine air, crystal clear spring water - all that and much more. 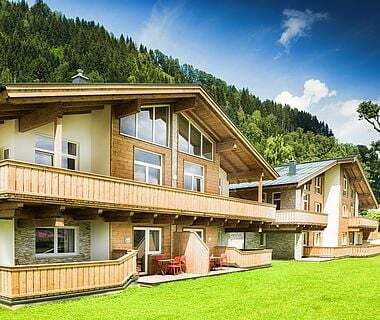 Fully funicular ride and all the beach, outdoor and indoor pools the region, which you can use the special Pinzgau "Mountain and bathing ticket." Enjoy the picturesque countryside and dare to climb to the summit. Choose walking, hiking or mountain climbing in the summer resort of Zell am See-Kaprun depending upon your capabilities and fondness. Discover along with young children murmuring or softly babbling brooks, jointly build a dam or make a boat from bark, twigs and leaves. Whether the small boat will one day reach the huge sea? Friends of day-time hiking tours come in the mid-mountain locations around Zell am See, fully at their own expenses. Choose a new daily route through the Salzburg mountains, enjoy the beautiful views of numerous mountain peaks and get your energy in a rustic snack bar on one of the pastures. For rock climbers and fans of mountain tours, we recommend your tour to be accompanied by a certified Austrian mountain. The experienced mountain guides are also available in winter for skiing tours. 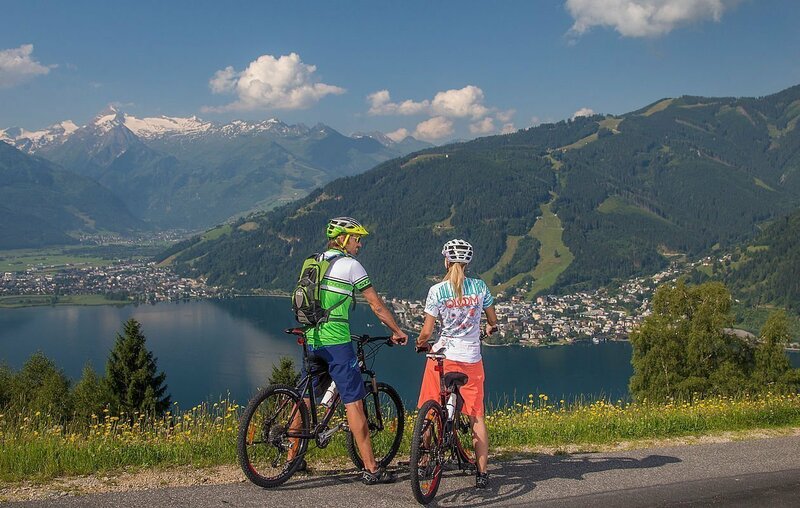 Twelve biking trips with different levels of difficulty start in the European sport region of Zell am See-Kaprun. An attractive destination for bikers is the Grossglockner High-Alp street, with its 80 mountain kilometres of one of the hardest routes in Austria. Dog stone trail: 1,000 meters of altitude up to the dog stone and steeply down again. Root passages, steps, stream crossings, switchbacks ... Very lucky for the mountain bikers who love variety and challenge. Roundtrip Schmittenhöhe: up to 2,000 meters above sea level. Roundtrip Schützingalm: pasture and climb to the summit, ride around the lake, great downhill with breathtaking views of mountains and the lake. Grossglockner High Alp street: 80 impressive mountain kilometres - the pinnacle of bikers! If you wish to be a bit more leisurely with the whole family, then select the leisurely bike paths around the lake or a section of the Tauern tour in the valley. You want to get to know Salzburg in a leisurely manner? 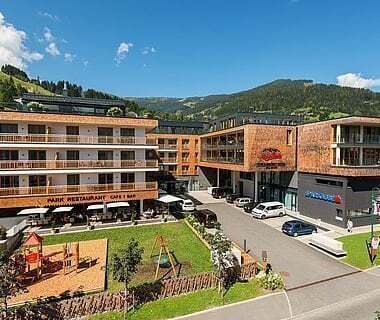 Then the Park Hotel Zell am See is your perfect starting point for exciting cycling through the holiday region of Zell am See-Kaprun. On the romantic Tauern tour, you can let your soul float on enchanting and remote places. Even the "Palace Street" or the circling of the lake bring great joy and a lot of variety even to less experienced cyclists and families with children. Take the cyclists path of Zell am See on Maishofen to Saalbach-Hinterglemm and slowly build the line. Countless excursions make the region a paradise for the whole family. If you cannot or wish not to bring your own bicycle or bike for the holidays to Austria, you can still borrow a top model and well-maintained cycle or mountain bike at Sulzer bike rentals in Zell am See or at Inter Bründl in Kaprun. The holiday country Austria and particularly the holiday region of Salzburg are rich in water in many forms: glaciers, streams and rivers, lakes, ponds and lakes, numerous springs and waterfalls present element of your life for ever new way. The water presents its beneficial side in the European sport region of Zell am See-Kaprun. Swimming in the recreational centre of Zell am See is relaxing with every comfort. Even a visit to the beach bathrooms promises pure relaxation. Whether kayaking, rafting, swimming or diving, the crystal-clear lake no longer exists just for cooling oneself down. Take a lake cruise - the shipping company of "Schmittenhöhe Bahn" offers a varied holiday with the stunning views of the lake that envelops the mountain scenery of the Austrian Alps. A joint cruise with friends or family is definitely a fun and special vacation experience. You can, of course, row by yourself and rent a boat. The glacier in the Austrian Alps peaks appear rigid, but they are constantly in motion, the ice "flows". Learn more about the world of alpine glaciers at the visitors’ centre on the Franz-Josef heights, for a breathtaking ride on the Grossglockner High Alp street. Put your hands on millennia-old glaciers and listen to the legend of the valley at the foot of the highest mountain in Austria. Sports enthusiasts are unanimous: The clear mountain air and numerous walking trails around the lake are enough reasons to force your legs into action. Running is easy. You can quickly improve your style to run more effectively. Running is also a simple way to reduce stress. If you want to start with your jogging program directly in front of the door, then you are at the right place in the European Sport Region of Zell am See-Kaprun. In Salzburg, all types of enthusiastic guests will find the route that is best suited for you irrespective of whether you are an amateur runner or even an experienced marathon specialist. From spring until autumn, numerous running events take place in Salzburg. Starting with a running around the lake, a half marathon or a running for both “He & She” and check your fitness. Also for the Nordic walking trend sport, numerous competitions are offered. Are you feeling heartbeat before diving for the first time? Ready to discover a new world? Then get yourself down to dive into the lake and into the water wonderland beneath the surface of the mysterious water body. The lake is with its excellent quality a popular venue for amateur and professional divers and diving students. With its maximum depth of 68 meters, it offers a visual experience of a special kind. The calming silence under water and the rich native fish will enthral you. The Zell diving school is opened throughout the year and is located on the banks of the lake. Here, rental equipments, diving support, diving instructions and training courses are offered to you. Diving Areas: You can get started at the Scholz Aqua Centre Diving School in Zell am See. Highlights: Underwater photographers will be delighted by the biodiversity of the fish and the many underwater plants. Other highlights: Diving in Thumersbach, stone wall up to 40 meters deep. Restricted zones with a diving ban: Access is denied for divers to the protected areas and the area of water-skiing school. There is a general ban on diving for Zell am See. Hazards: Please pay attention to motor boats, sailors and surfers! Diving permits: For dives in the lake, the approval of a local diving school is absolutely necessary. - Diving school sports Scholz, Bahnhofstr. 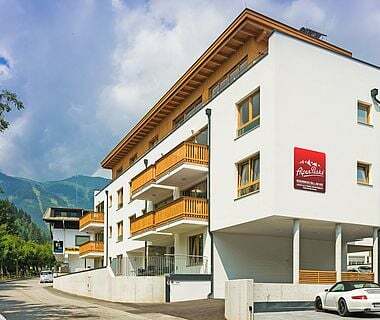 13, 5700 Zell am See, Tel. : +43 (0) 6542/72606. - Diving school Zell am See, Matiasch Erwin, Seehotel Freiberg, Esplanade 22, 5700 Zell/See, Telephone: +43 (0) 6542/72643, Mobile: +43 (0) 664 / 503 6969. The right kind of wind is of ultimate importance. Without it, nothing moves. The thermal characteristics of the lake Zell in Salzburg province creates the best conditions for your surfing or sailing holiday in Austria. For surfers, everything revolves around the wind. The lake provides the ideal framework for the extraordinary pleasure of having full wind in the sails. In the sailing and surfing schools in Zell am See, the experts show you how to move on the surfboard and master the first hand manipulations on a sailboat. If you are already an expert in the art of sailing, you'll be very comfortable here. Especially in the spring until about the beginning of July excellent thermal characteristics develop. Enjoy the state of wind that brings beautiful south wind in spring and autumn. 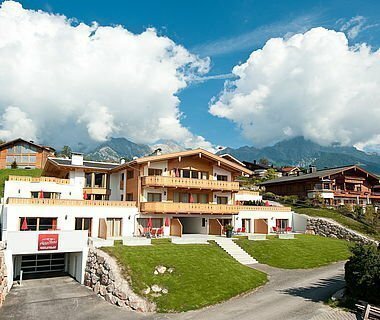 Tel: +43 (0) 6542/55115, Mobile: +43 (0) 664/6443695, Seespitzstraße 13, Zell am See (15 minutes walk from the center). Surfing for children, beginners and advanced, rental of surfing boards, fun boards and surfing suits. Tel: +43 (0) 6542/73724, Mobile: +43 (0) 664/9329367, Thumersbacherstraße 24, Zell am See. Sailing courses for children, beginners and advanced theory and practice. Private lessons, trial courses, rent, repairs and service. Mobile: +43 (0) 664/3364850, Esplanade 4, Zell am See. Special family offers. Training in theory and practice. Golfing in one of the most beautiful regions of Austria, marvel the nature at its best - you can enjoy this and much more in the Europe sport region of Zell am See. From April to November you have the possibility to prove your golfing capabilities in the holiday region of Zell am See-Kaprun on the adjacent, spacious golf courses of Zell am See Golf Club, "Schmitt height" and "Kitzsteinhorn". 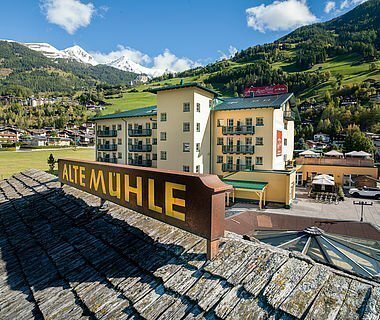 The facilities comprising a total of 36 holes lie before the breathtaking backdrop of the Austrian Alps and certainly enthral you every day. 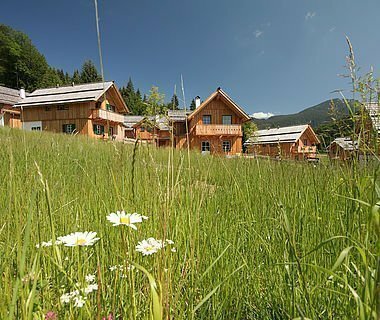 Do you expect perfectly groomed fairways and greens in a park-like ground with biotopes and ponds and wonderful views of the panorama of the Austrian Alps? The valley as usual ensures the playability of the course from April to November. This course is characterized by its perfect location, different design and professionalism. Do it the same way as international professionals and practice your golf vacation in Austria in your "birdie" on the squares of the golf club at Zell am See. Anyone who enjoys activities and is looking for that special experience on their time off throughout the year needs a region that offers the full package of activity holidays and a diverse leisure programme in summer as well as in winter. Zell am See-Kaprun is such region. The holiday resort of Zell am See is an ideal starting point for many excursions. Discover ancient castles, enchanting gorges, medieval villages and much more either as a pair or jointly with your children during your holiday in Austria. Great old military fortress from the 12th Century; 23rd and 24th July 2011 - Medieval castle festival with more than 400 participants and cultural events. The adventurous journey begins in Fusch up into the world of high mountains of Grossglockner. At 2,369 m above sea level, you reach the Franz-Josef heights with spectacular views of the Grossglockner, Pasterze and Johannesberg. Interesting visitor centre, particularly suitable for children. In Taxenbach, at the entrance to the Rauriser valley, you start your hike through the mystical Kitzlochklamm, that was formed by the Rauriser river. Stalactite caves, hermitage. The deepest gorge of the Austrian Alps beckons with wild water tunnel passageways and galleries. On a narrow path and stairs and bridges, it leads through the gorge to the waterfall. Sometimes the sky over their heads seems to be only a narrow blue stripe! Spectacular excursion program, including children. Ancient fortress from the 11th Century with a raptor show worth seeing. Beautiful mountain views, children's tours. In the summer castle festivals, tours and mediaeval evening meals. Discover the largest ice cave in the world! With the funicular goes up there and then with a guide through the hidden fairy-tale world of ice. For children over 5 years. Please pay attention to your steps. The fifth highest waterfalls of the earth and the highest in Europe. Hiking along the waterfalls. Water wonder world: Interactive water world, especially for children, at the foot of the waterfalls. Beautiful hiking area, fantastic alternative program: the heat of the rock and the Alpine spa experience with children's worlds, slides and a separate recreation and resting areas for adults. 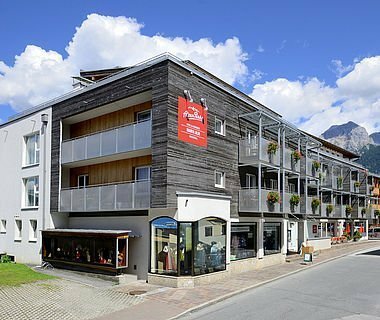 Bad Gastein: remarkable architecture and unique location of the place along the banks of the Gasteiner river. Salzburg's old town is a "must" in your holiday in Austria. Churches, monasteries and the Fortress of Hohensalzburg dominate the cityscape. Premium cultural offer: museums, concerts, theatre and cabaret. Tip: Hellbrunn Palace with water games and the zoo.